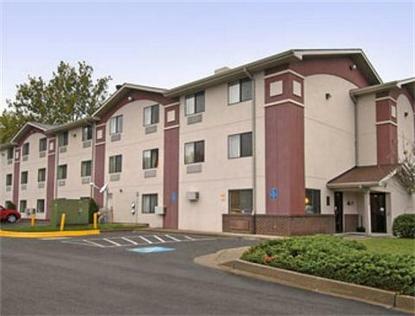 The Super 8 Motel in College Park, MD is a great location for traveling on business or pleasure. We are centrally located just off I-495 and less then 2 Miles from the University of Maryland. and less them 0 Miles to Washington DC. After a great night sleep in one of our comfortable rooms we invite you to join us for a Free Superstart Breakfast and you can access Free High Speed Internet Access from anywhere in the motel. Some of our other amenities include AM-FM Alarm Clocks, Hairdryers, 25in TV with over 50 Cable channels to choose from including CNN, ESPN and HBO. Just ask at the Front Desk if you need a microwave, refrigerator, or iron and board.